Ellrik The Electronic Drums Addict! Freedrum Teams‘ aim is to bring the drumming experience from soundproof studios to the outdoors, your sofa, or any other place you have access to a smartphone. No matter if you’re a beginner or Tommy Lee, This device is designed for drummers of any skill level! 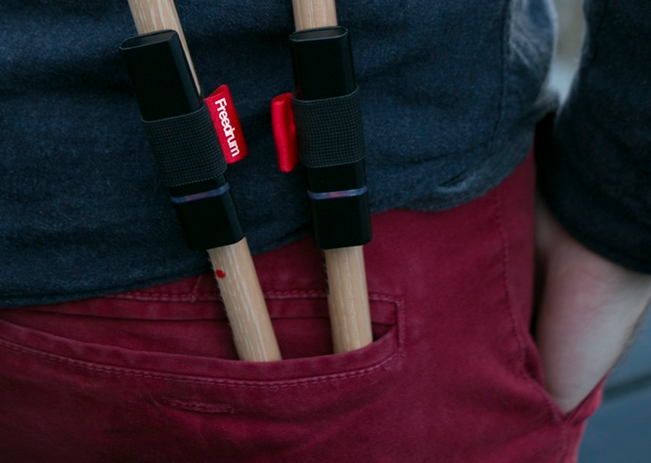 Simply slip the sensors on your drumsticks, pair them with your smartphone, and take them anywhere. It is that easy! It doesn’t require an internet connection and runs on a battery that should keep you drumming for a week of regular use. If you want the full experience, slip two more units onto your feet. The units are interchangeable, so you won’t need to buy special feet units. Officially, Freedrum supports iOS with Garageband, that’s what the team have tested and guarantee. They recommend iPhones and iPads with iOS 10.0 or later. 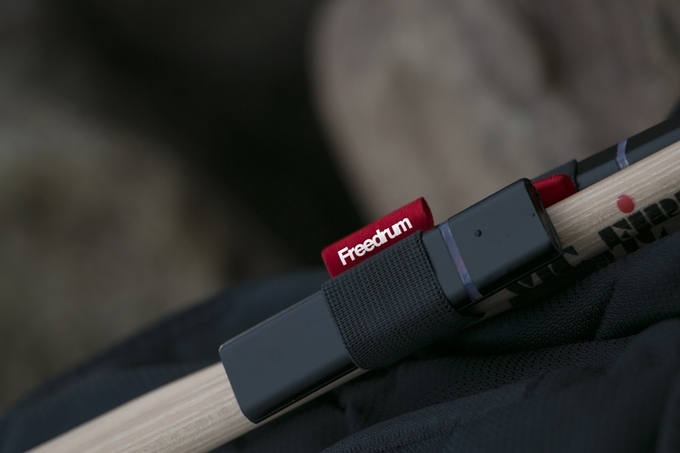 Freedrum is designed to give musicians the most natural drumming experience. It’s small, lightweight and easy to setup. It’s adaptable to any size drumstick and you can place it anywhere on the stick to suit your drumming style. When turned off the stick this devce can easily fit into your pocket. Freedrum can for sutetake a beating! Shock-resistant ABS plastic is used for the enclosure to ensure it is strong and lightweight. It made of reduced number of parts and designed to be repairable. A simple click on a button turns the device on and calibrates it so that you can start playing as quickly as possible. An LED is incorporated elegantly above the button indicating the connection and battery level. A standard Freedrum package includes two units, a micro USB charger, two straps for drum sticks and two straps for your feet. 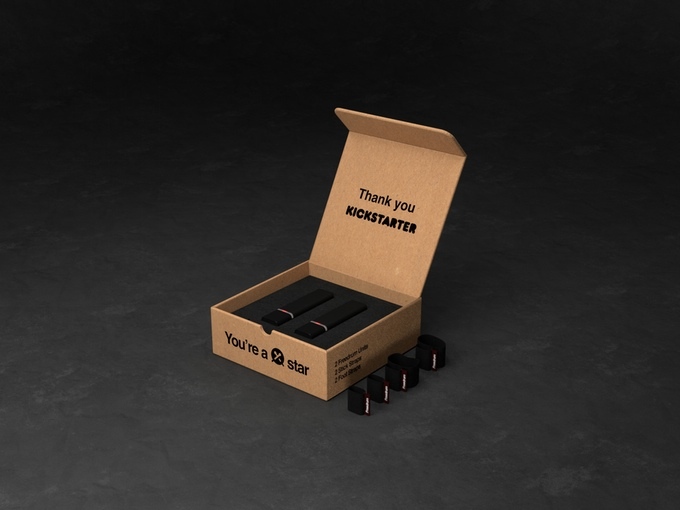 The Freedrum Team also offer a special deluxe package for Kickstarter supporters that includes a pair of premium drumsticks from Vic Firth. 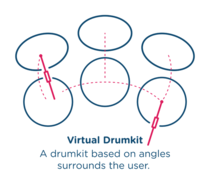 Support this great innovator NOW by pre-ordering the Freedrum Package at their official Kickstarter Page. The BEATLAB mini provides a training mode that lets you objectively check your own sense of rhythm. If you connect the included contact mic to the unit’s TRIGGER jack and attach it to your snare or practice pad, the BEATLAB mini detects the sound of your strikes and measures the slight discrepancy in tempo between your playing and the sound of the metronome. After evaluation, your score at keeping the rhythm and your overall tendencies are shown in the display, allowing you to monitor your progress as you continue to practice. How strictly your rhythm is evaluated and the trigger sensitivity can be adjusted in detail to correspond with your ability and the devices with which you’re practicing. From the beginner who has just started their instrument up to the veteran who just wants to verify their rhythmic sense, the BEATLAB mini will support your rhythm training as your very own dedicated and personalized trainer. The CM-200 high-sensitivity contact mic is included for trigger detection. 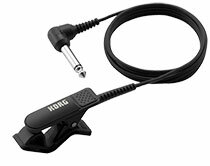 You can attach this mic to your practice pad or snare, or even to a magazine or table; any object that the clip will grip to transmit to transmit its vibration. The moment you get your BEATLAB mini, you can immediately start accurate rhythm training wherever you are. Metronome function with a generous selection of patterns. 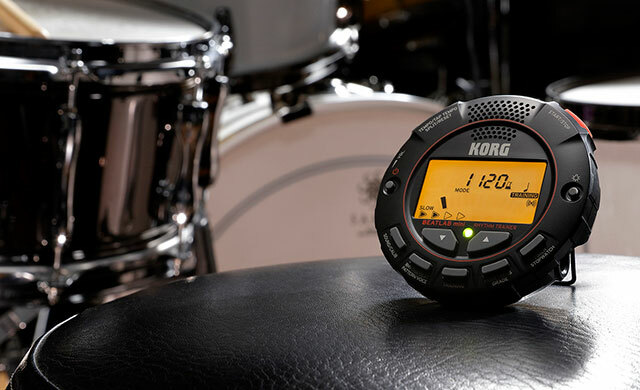 Sound out function is convenient for tuning your drums. 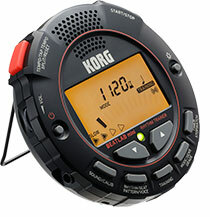 Time/Stopwatch function can be used in a variety of ways. 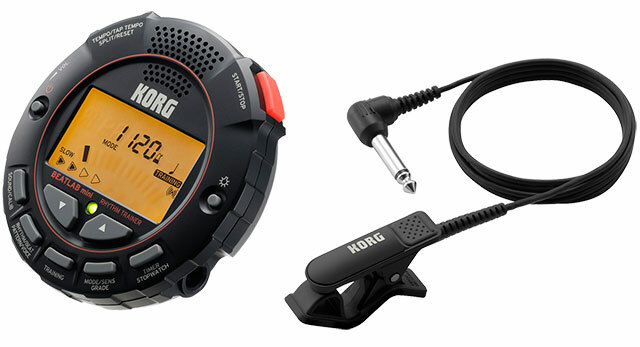 High-volume built-in speaker and headphone output. Two-way clip that holds with a variety of use-cases. Includes a contact microphone for trigger detection. Lineup includes a limited set with that includes a practice pad. As of this writing no price has been set yet. 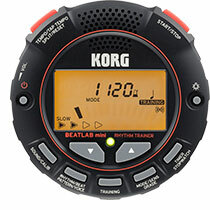 For complete specifications of BEATLAB mini visit KORGs’ Website. Romain Goulon, a 25 year old Drummer who started playing drums at the age of 13. Romain studied jazz and modern music at the Music Conservatory of Cannes during 8 years and he’s, (actually) like the most, a self taught drummer. 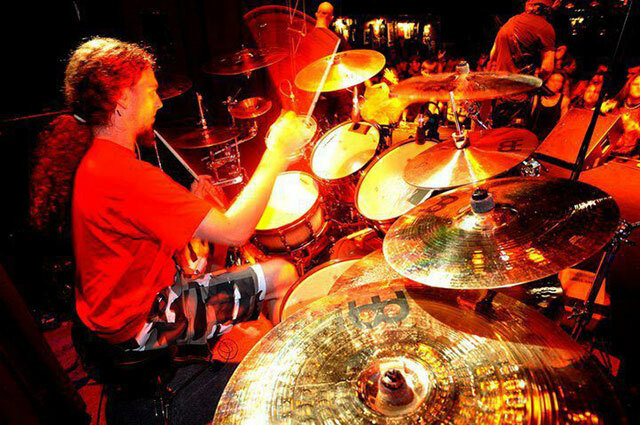 After playing with many french metal bands like Agressor, Imperial S, Belef, Disharmony, he’s widen his drumming performance internationally and collaborated with bands like Disavowed and Necrophagist. Besides being a studio and live session drummer. 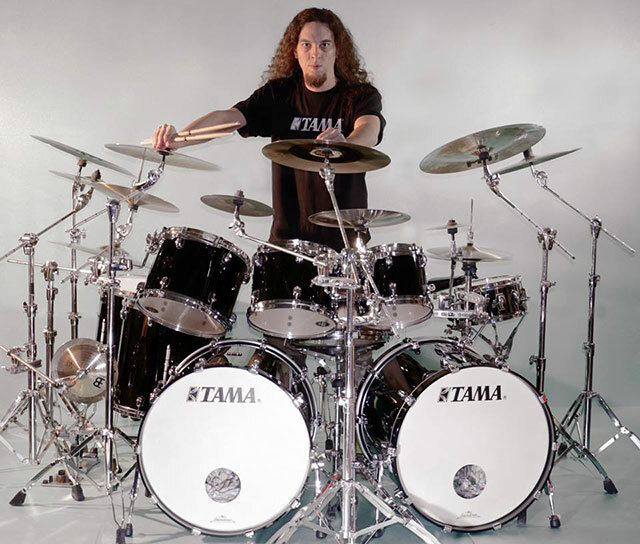 Romain is a drum teacher, international clinician, he has created instructional drum videos at his Youtube channel. In addition, he’s also released a drum DVD in 2015 named “Metal Chops Matrix“. “…Kevin was and still is one of my closest friends. But whereas in the rest of the band we all have day jobs and family, he’s always been the one who’s wanted to become a fulltime musician. That’s why he’s been doing so much session work and was always on the hunt for a ‘big’ band. It was actually Romain Goulon from Necrophagist who got in touch with us. We had thought about him before but we believed that he was too busy and that we were too underground for him. But he told us that he didn’t care about the money and that Necrophagist wasn’t going anywhere since their Guitarist/vocalist Muhammed was such a perfectionist. He’s been scrapping everything he writes ever since 2004’s ‘Epitaph’ and that they haven’t played live in years anyway. Check out the video with Romain Goulon below where he teases with short Drum Clips excerpts from the Benighted “Necrobreed” to be released in 2017. 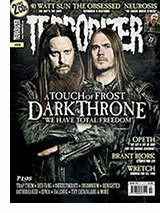 Sources: Terrorizer Magazine (If You’re Into Metal GET IT! It’s One Of The BEST!) and Romains’ Official website. In addition, Don’t forget to check Benighted Facebook Page for latest band updates. After 50 Years Of Rocking Like A Hurricane, Is There Any Better [Energy] Drummer Than Mikkey Dee To Celectrate This? 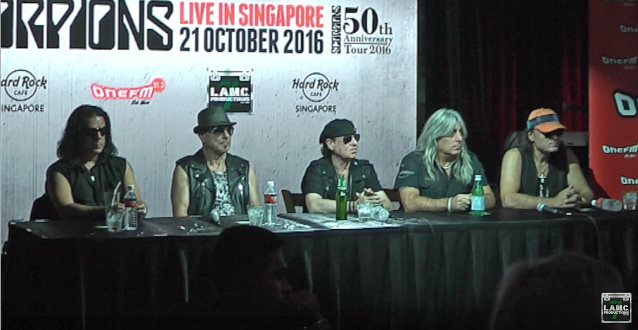 Singer Klaus Meine said: “Yes, we celebrate fifty years of SCORPIONS, but I guess it’s much more than that. The fact that the band is still together and we still put on a damn good show. And with Mikkey [Dee, drums; ex-MOTÖRHEAD] just joining the band, there’s a fresh wave of energy, and it’s a lot of fun, and we enjoy every night. “So we’re still excited about doing all those trips and taking our music all over the world. This vision never left us. And at the same time, creating new songs — playing not only the big classics on our show, but also to present new material, new songs from our latest album, ‘Return To Forever‘. SCORPIONS announced, in September 2015, the addition of Mikkey Dee as a permanent replacement for SCORPIONS‘ longtime drummer James Kottak. Mikkey Dee had spent the last few months, as reported earlier, filling in for Kottak, who was said to be on break while he sought medical attention. For Full Report Check Blabbermouth.com. 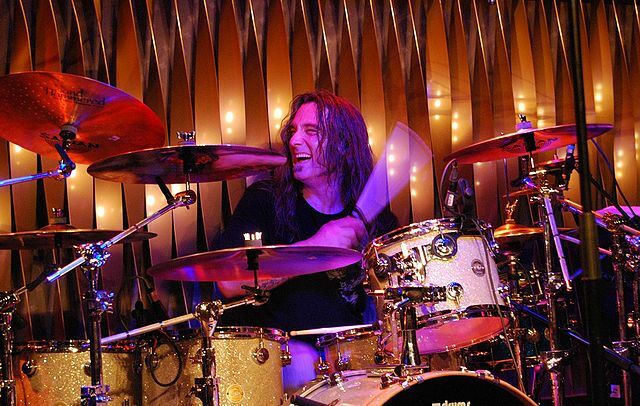 Former Pearl Jam drummer Dave Abbruzzese has slammed the Rock and Roll Hall of Fame for leaving his name off of the band’s nomination. “It’s just a fine opportunity to see what Pearl Jam has to say in response,” he wrote on his personal Facebook page. Dave was a different egg for sure. There were a lot of things, personality wise, where I didn’t see eye to eye with him. He was more comfortable being a rock star than the rest of us. Partying, girls, cars. I don’t know if anyone was in the same space. Abbruzzese has collaborated with Shawn Smith (Brad, Satchel). They released their song “Like The Child Of The Water I Am” for online download on December 26, 2015 and stated that their collaboration is ongoing and more music would be released in 2016. A Complete Package At An Incredible Value, Presenting the Mapex Storm Bundle! The Mapex Storm Bundle 6pc Drum Set with Hardware and Zildjian Cymbals does not only simplifies the process of getting a great sound. 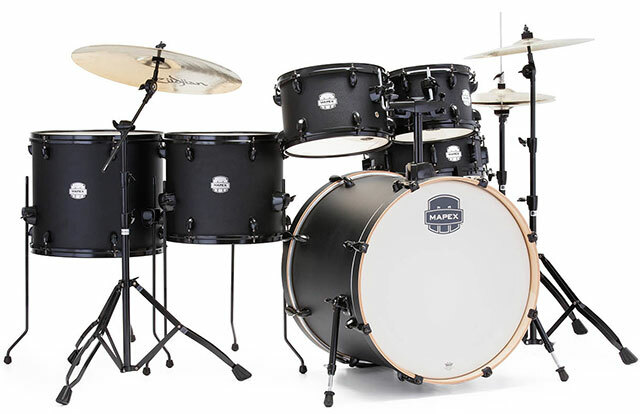 It adds an entirely new style of drum finishes and hardware options. The Storm Series sets offer shallow depth toms 100% Poplar shells complete with the SONIClear Bearing Edge, which increases the contact between the drumhead and shell and allows the head to sit flat on the edge. The SONIClear bearing edge produces a stronger and more centered pitch and makes the drums remarkably easy to tune. This Limited Edition Mapex Storm Bundle 6pc Kit comes with 10”x 7”, 12”x 8” Toms, 14”x12”, 16”x 14” Floor Toms, 22”x 18” Bass Drum, and a 14”x 5” Snare Drum. Mapex Storm Bundle also includes a 400 Series Hardware pack, and a 4pc Zildjian Planet Z Cymbal pack. The Storm 400 Series hardware series is included with all Storm kits. Chrome Plated hardware comes with the Camphor Wood Gran and Ebony Blue Grain finishes, while the Deep Black finish comes with Black Plated hardware. The double-braced Storm cymbal stands are 3 tierd for maximum adjustment and cymbal placement. All Storm hardware feature the new Mapex concave leg design for easier better positioning. This all-purpose hardware is available to purchase as individual pieces as well. The Storm 400 Series hardware package includes a boom stand, straight stand, hi-hat stand, snare stand and single bass drum pedal. The Planet Z cymbal package includes a 20″ ride cymbal, 16″ crash cymbal, 14″ hi-hat pair. At the time of this writing, DrumPerium has not been informed by Mapex about pricing or where to buy the Mapex Storm Bundle. We will add an Price and Where To Buy update here as soon as possible once we’ve got a reply from the company officials.